Strawberry Thief is one of William Morris most famous designs for fabric and was originally indigo discharge printed at Merton Abbey. Morris was inspired to design Strawberry Thief after watching thrushes stealing strawberries from the kitchen garden of his countryside home, Kelmscott Manor, in Oxfordshire. This launch sees the debut of Strawberry Thief as a wallpaper. It has been lovingly reproduced to reflect the very essence of William Morris original creation and is also available as a printed fabric in the Archive Prints collection. 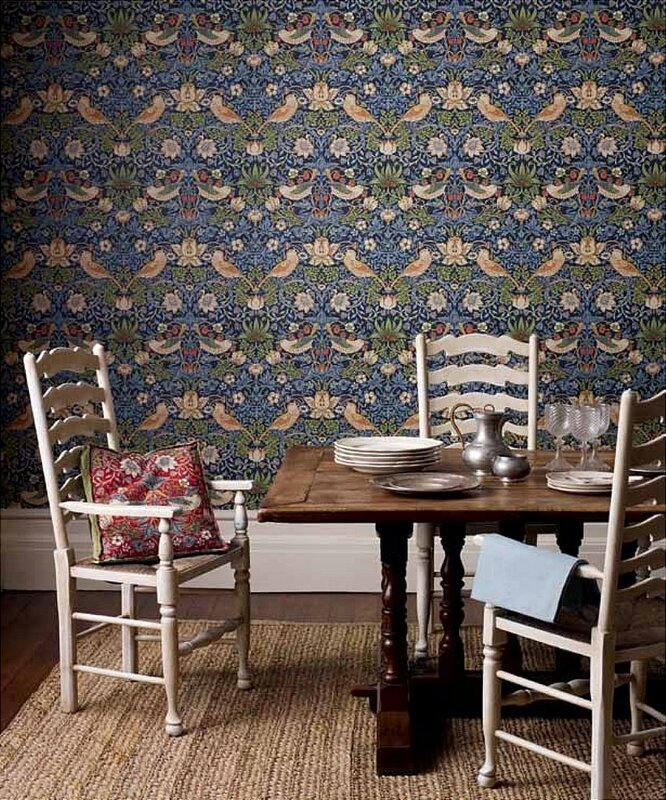 I would like more information about Strawberry Thief Wallpaper by William Morris.